Next Gathering is Saturday, April 20th, 6:45 p.m. 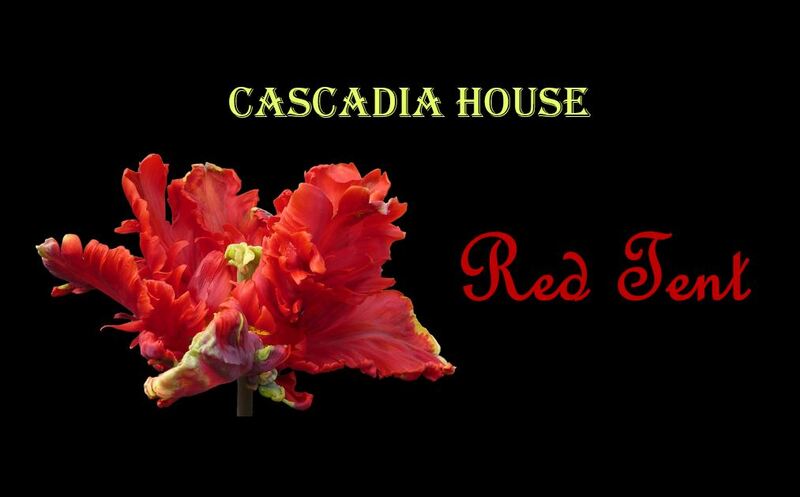 Please join us at Cascadia House for our monthly Women's Red Tent. All women welcomed. What is Red Tent about? The gathering is rich and sweet, but the written words are definitely lesser than the sum of their parts. It is an experience of magical, ephemeral warmth, friendship, and unconditional belonging while opening to your Sacred Self. These women's gatherings are emotionally and spiritually nourishing. Red Tent gatherings create community, and give us an opportunity to make new friends while we celebrate the Sacred within each of us, and honor each and every woman's unique Divine Feminine. We begin with a soothing guided meditation to help you release the mundane world and settle into the sacred space. We'll share brief introductions and take time to share what is alive for us now to learn about each other, and to be heard. We'll co-create a sacred circle by calling in the energy of Earth, Air, Fire, and Water, and call in Goddess energy. During the candlelight circle, we'll learn and grow together through inspirational Women's Wisdom inspired by women like Carolyn Myss, Marianne Williamson, Lynn McTaggert, Clarissa Pinkola Estes, and Gabrielle Bernstein: and then share from the heart how we will bring this wisdom into our lives and grow from it together. All the while, we'll be sharing social time and beautiful food and drink. Please bring: A lovely, healthy finger food or beverage to share. This is a time to enjoy the sensuality of taste - good cheese, smoked fish, fresh organic veggies, and dark chocolate are welcomed; great beverages would be kombucha, kevita, or wine. If you feel called, bring a small item to be blessed on the Goddess altar. Vancouver Private Residence Given Upon Registration; you must register to attend. Cost: You will see a sliding scale from $10-$20; please donate what feels right for you. No one turned away for lack of funds; if you have a definite needs-based situation, please email Sally if you would like to help set up as a work trade, or if you have any questions about the group. © Cascadia House. All rights reserved.